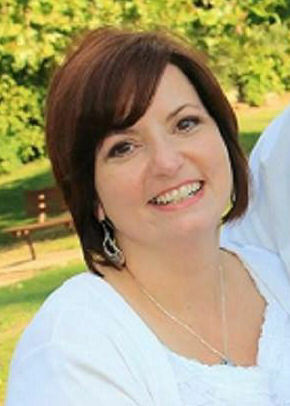 Mary Kathryn Thornton, age 47 of Nixa, Missouri passed away Saturday, September 29, 2018 and was received into the arms of Jesus, her Lord and Savior. Mary passed away suddenly after being a patient in Cox South Hospital, Springfield, Missouri. She was born July 9, 1971 and united in marriage to Patrick Thornton on June 16, 1990. For the past three years, Mary was a faithful employee of Great Southern Bank of Springfield and held the position of Assistant Bank Manager and Personal Banker. Mary also used her Godly wisdom to assist Patrick and co-pastor Mt. Zion Family Worship Center of Nixa. Mary’s friends, co-workers and family benefited from her loving encouragement, inspirational words and were touched by her unfailing faith. Mary was a terrific boss, loving wife and mother, caring friend and now she is worshipping at the feet of Jesus. She was an extraordinary woman and will be sadly missed but her reassuring love will live on in the hearts of her family and friends. Mary is survived by her husband Patrick; two daughters Tiffany Thornton and Jessica Thornton; a son David Thornton; her mother Mary (Mathews) Newman; two sisters Gaye and Joyce; two brothers Keith and Kent and several other caring relatives. Mary loved her three grandchildren unconditionally, Timothy, Johnathan and Matthew fondly called her “Ya-Ya”. One brother, Kevin preceded her in death. Funeral services will be 10:00 A.M. Thursday, October 4, 2018 in New Life Temple, 3077 US-65 Business Hwy Hollister, Missouri 65672. Burial will follow in Hopedale Cemetery, Ozark. Visitation will be Wednesday evening from 6:00-8:00 P.M. in Barnes Family Funeral Home, Ozark. On line condolences may be shared at www.barnesfamilyfunerals.com. In lieu of flowers and in memory of Mary Thornton donations may be made at any Great Southern Bank location. Mary was such a very caring and loving person. We got along very well at the family functions. We usually looked each other up and talked. Condolences to the family. So sorry for your loss, and also rejoicing with you for the knowledge that she is with her Lord. Your family will be in my prayers. To young to go, may we set aside the why, and recall all the goodness Mary’s Life has touched others. Her warm smile and loving hugs. Think of all the children and adults she has blessed. What would she say or do in this situation? She is having a most glorious time in heaven. We on earth have to see it as she is on a grand vacation, and we will meet up with her soon. But we have more work to do here on earth in the meantime. Mary was always sensitive to the needs of others, and so should we. Tears come because we miss her, but there is the great hope of knowing she is in good hands of her Lord. Focus on her dancing on streets of gold, laughing and rejoicing with all her family there. Mary was always so sweet to help me when I came in the bank. She always had a smile on her face and I will miss her very much. I am praying for you and your family. To the Thornton family, I’m so sorry for your loss. You will be in my thoughts & prayers. May God help you in this time of mourning. I am a member of the Luther Park Board where Mary’s brother Keith, is the Executive Director. Please accept our sincere condolences during this time and may God be with all of you. So very sad to read this. I worked with Mary at GSB and she was always a shining light. Her faith led her down the right path, I knew this from our limited time working together. Prayers and thoughts to the family as you move forward. May God bless you all.